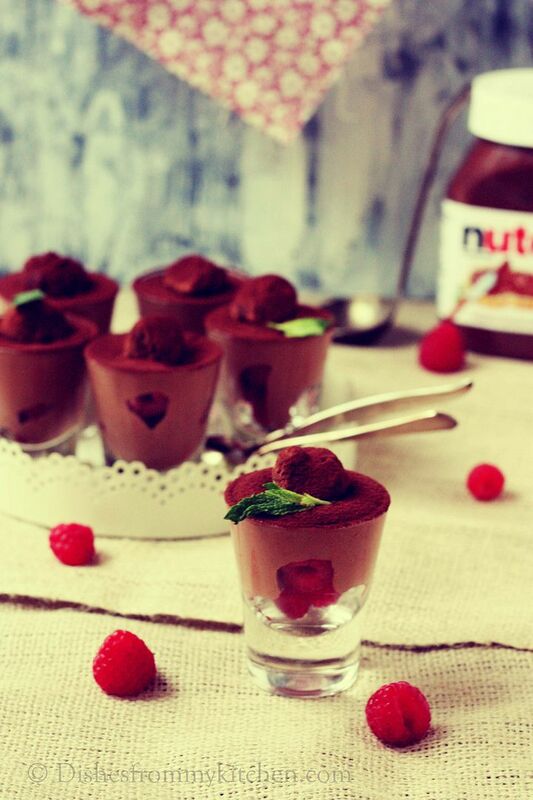 Nutella is another word for MAGIC. Yes it’s really a magical thing. 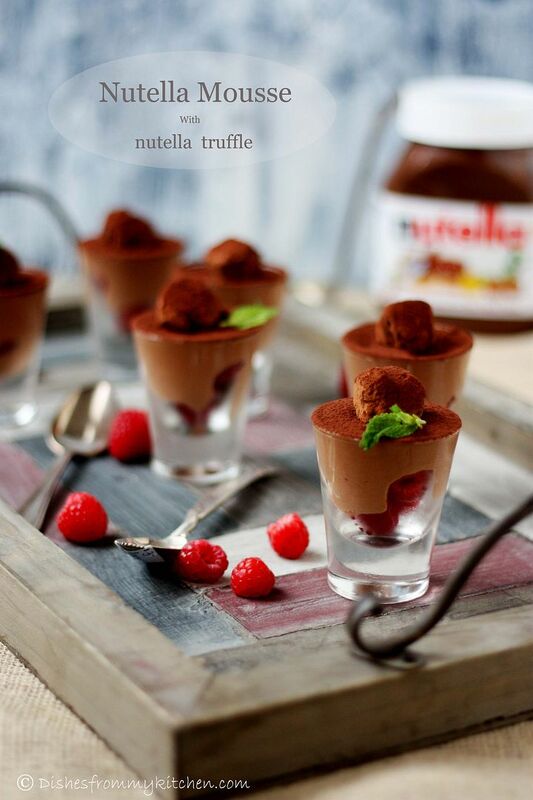 From the simple toast to a sophisticated dish, with Nutella it becomes a "Specialty". We are nutella lovers and I have been using it for several years now. 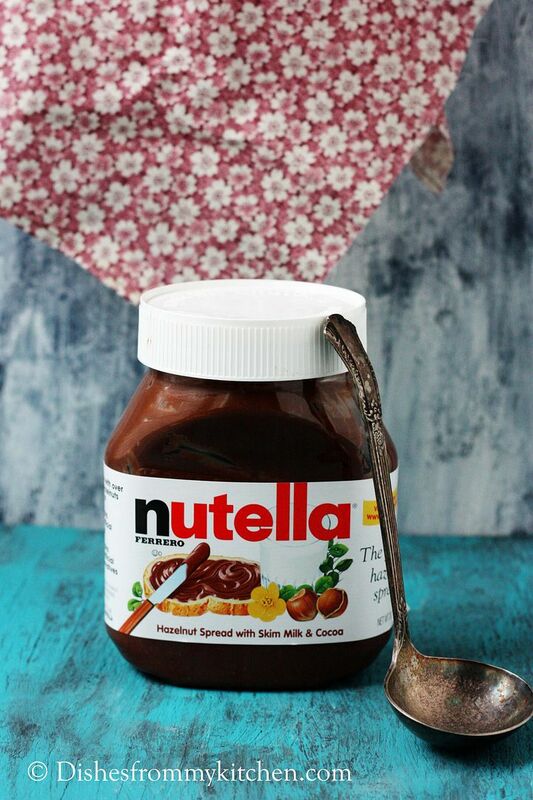 It’s a staple in the kitchen and never run out of Nutella. 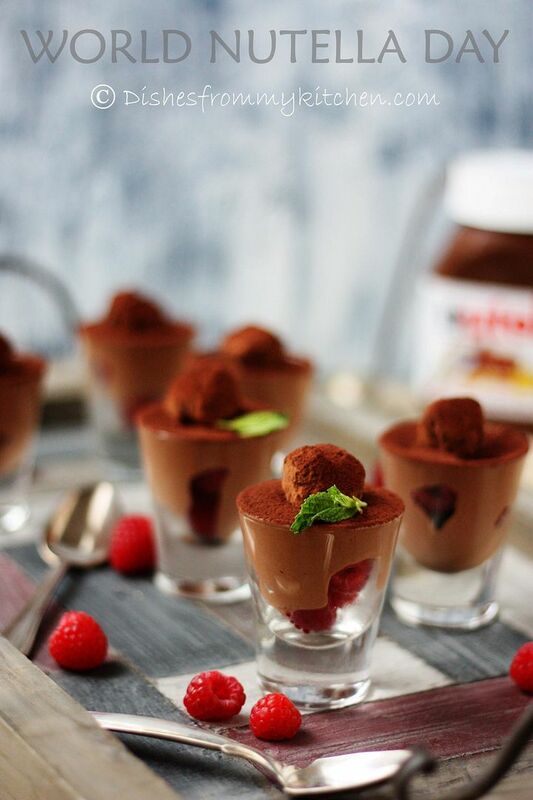 For the World Nutella Day 2013 here is a simple recipe which is easy to make with just 5 ingredients. This dessert is so simple to make, but is very elegant and gourmet dessert. It is wonderful to serve as a party dessert which can be prepared in no time, but very rich in taste. I am sure this will be a hit and everyone will ask for the recipe when they taste this classic combo. 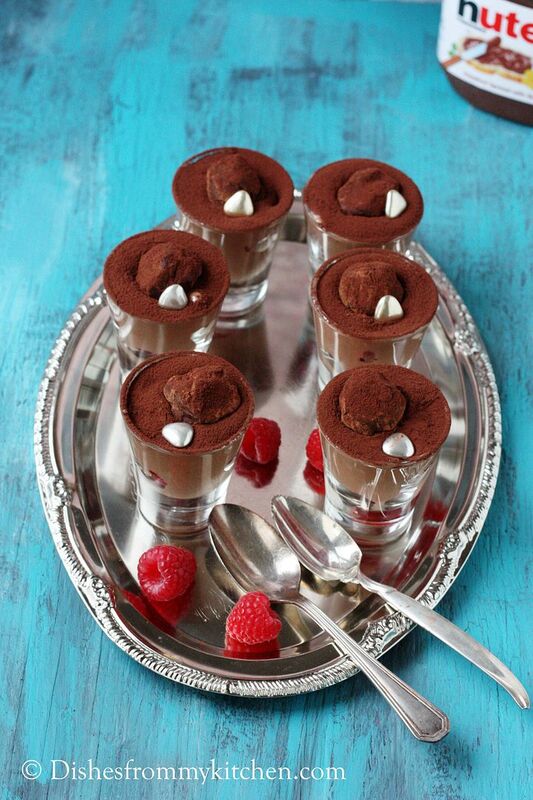 These mini desserts are so cute and great way to impress your friends, family or anyone. Indulge your sweet tooth without eating huge portions. 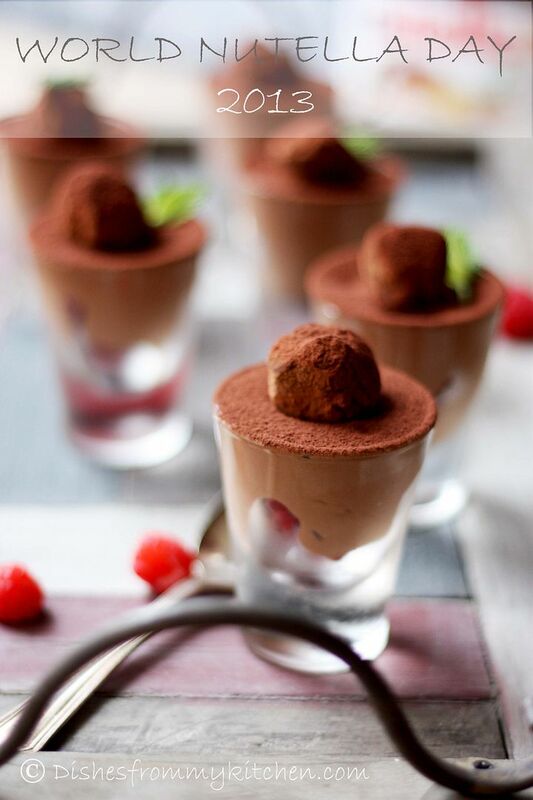 Soft, Airy Nutella mousse with berries dusted with cocoa powder served with Nutella berry truffle does it sound interesting???? R u tempted??? Here is the recipe... Enjoy!!! 1. Mix the nutella and the espresso powder in the bowl. Microwave the mixture in low power for 30 to 40 seconds. Stir it every 10 seconds. 2. The consistency has to be like heavy cream. Mix well and keep it aside. Let it come to room temperature. 3. Now whip the cream until they form soft peaks. 4. Gently fold the whipped cream to the nutella mixture until they are blended well. 5. It will be super soft. Refrigerate them for atleast 2 to 3 hrs. 6. Use them as desired. 2. Now fill it with the Nutella mousse. Refrigerate for minimum 2 to 3 hrs. 3. 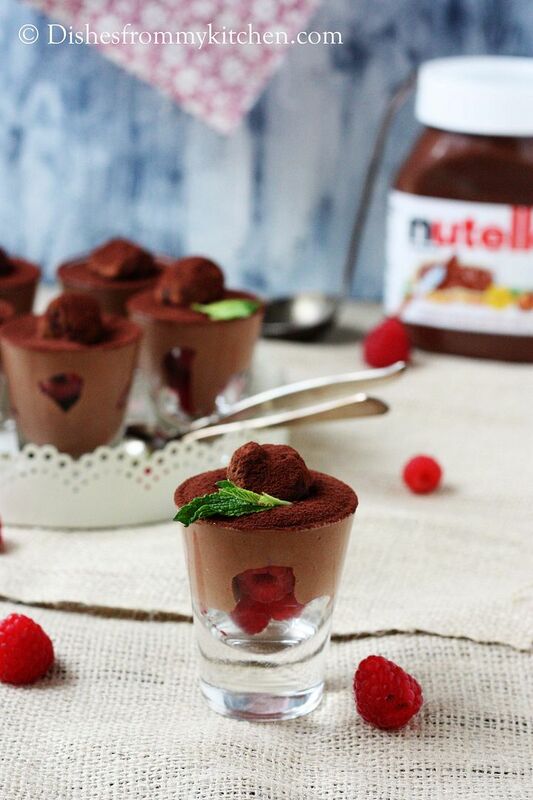 When serving dust with Cocoa powder and top it with Nutella berry Truffle. 1. Scoop nutella in a bowl. Put it in the freezer for just 15 to 20 minutes until they are slightly hardened. 2. Now using the melon scoop, scoop the nutella. Slightly flatten it put a berry in the middle and make a rough ball. 3. Do the same with remaining nutella. (This is little messy job but believe me nutella with sweet berry in the middle dusted with cocoa powder is Divine). 4. Put in the freezer for another 10 minutes until the rough balls are slightly hardened. 5. Remove it from the freezer and make nice balls and roll it in the cocoa powder until they are well coated. 6. Refrigerate until they are ready for serving. Lovely pavithra!!! Pics are making me crave for few glasses of these beauties!!!! I am loving those shot glasses. Gorgeous clicks Pavi. Happy Nutella Day! A day of chocolatey-indulgence. looks so pretty and I think u have magic in your hands :) how do you do it??? I do love your recipe here..but more than that must mention about the captures!! Beautiful photography!! Beautiful clicks as usual. Stunning! Super idea Pavithra, this can only taste awesome! We do not get unsweetened heavy cream here, hopefully we should soon...great pics! Why didn't I find out about world nutella day earlier? I could be eating nutella right out from the bottle to celebrate! 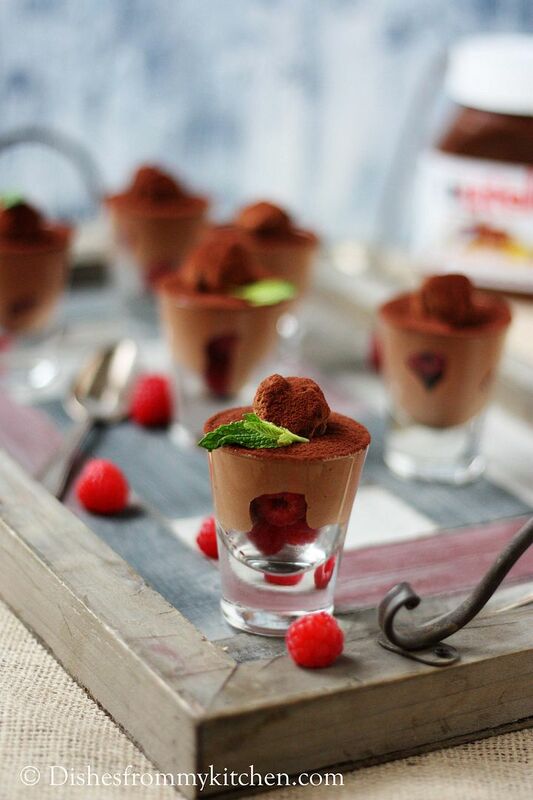 What a nice touch with the nutella truffle on top of the mousse. I can't wait to try this out. Thanks for sharing. wow..ur pictures are incredible Pavi.. even better than the truffle i should say..lol..keep rocking . Wow pavitra no words to say abt ur pics.By the display only we can try the dish.Keep rocking dear. This dessert is to die for.. I love the shot with he truffles on top!! O've got just one word to say Pavithra. Stunning Stunning!!! 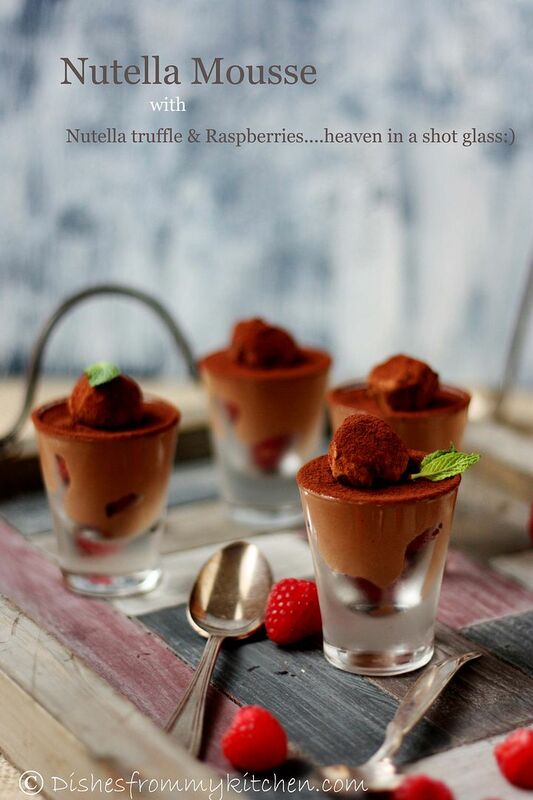 I couldnt stop looking at ur pics...looovely pics and nutella mousse sounds divine ! A wonderful dessert! Surely quite addictive. 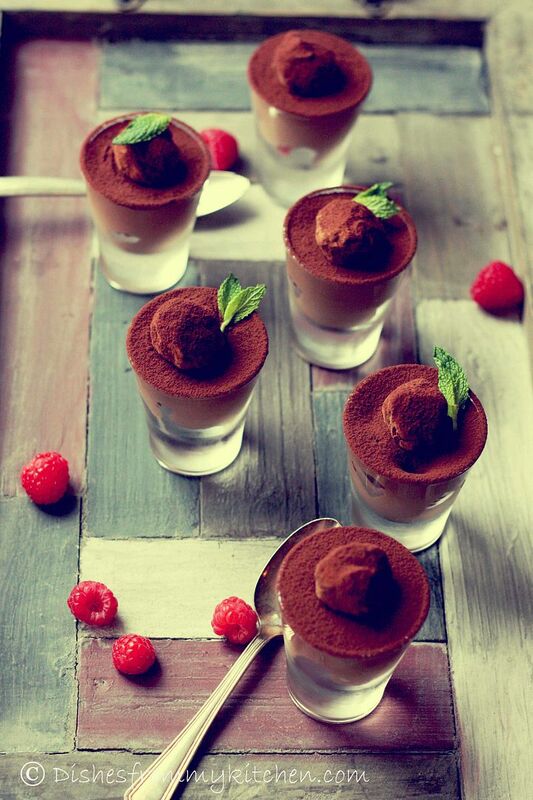 Lovely dessert and beautiful clicks. awesome. NANAIMO BARS - HAPPY VALENTINES DAY !